I’m working on non-dotNet related technology more and more and to be honest, it’s interesting to see how other environments are dealing with similar problems. Now as you can imagine, running different technologies within Azure requires some additional planning. For example, the usage of the dependency manager composer. 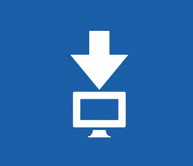 This blogpost was inspired by Dot Net Rocks episode 1292. The episode was as informative as all others however, the first part in which Carl and Richard covered scanr.xyz (a OCR as a service offering) really peaked my interest. I was running into some weird ffi_c (LoadError) issues when running Ruby on Windows 10. Yes, a bad idea, I know. There was no escape, it had to be done and of course encountered some problems. Just to save a brave soul some time, I’m sharing the details right here. Don’t worry I will be covering other topics next week. Just wanted to share that I’ve released SeaMist version 1.1.5, the most complete Kraken.io API wrapper for .net, which includes lots of what was still missing. And I have some other interesting news as well. 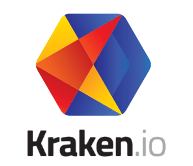 In case you are using Kraken.io within your applications, no matter if this involves direct API calls or using an extension / plugin, you might start to wonder if there is an easy way to enable notifications based on your quota’s. This post explains how this can be achieved in 5 minutes using Azure Logic Apps! Just a short post covering all updates recently made within the SeaMist GitHub Repository. I’ve strived to implement most of the Kraken.io features, and in addition to this made some project changes as well. It has been almost a year since I wrote the Azure Portal monitoring basics guide. Given that this article is attracting quite a bit of traffic, I guess that many of blog visitors are interested to read more on this. Therefore, I’ve decided to write a little update covering important recent Portal changes.